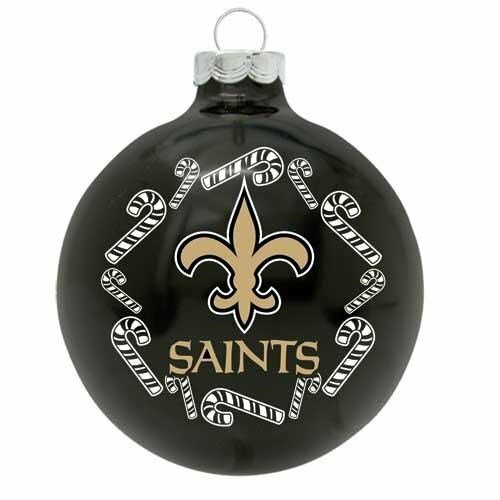 New Orleans Saints Christmas Tree Ornaments are based on the black, gold, and white colors of the team. 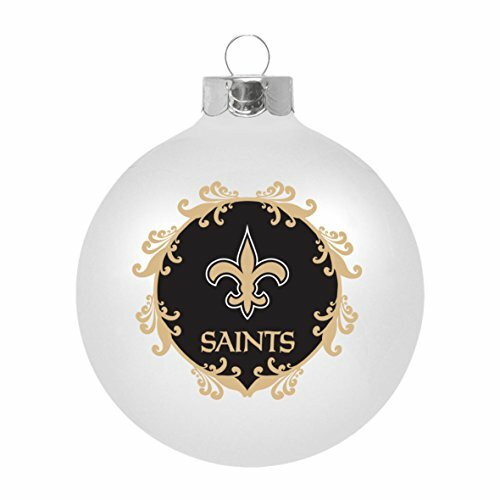 This makes for a classy looking Christmas tree when decorated with Saints ornaments. 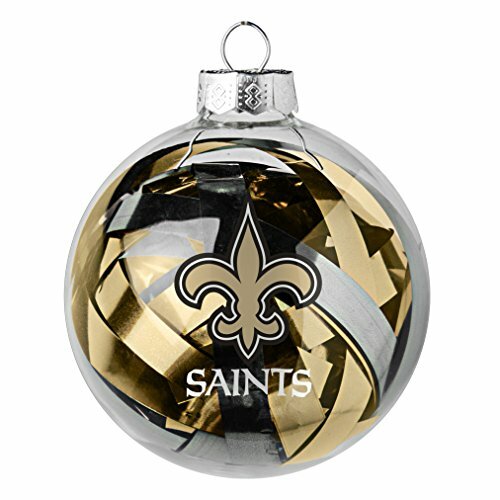 The ornament shown here is a large glass globe filled with mylar tinsel in the black and gold colors of the Saints. 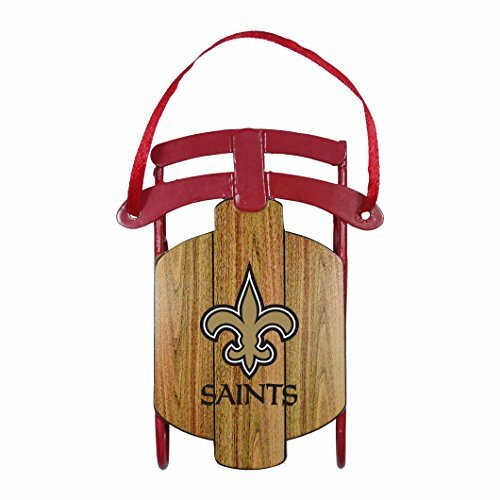 The fleur-de-lis logo is printed boldly on the front. 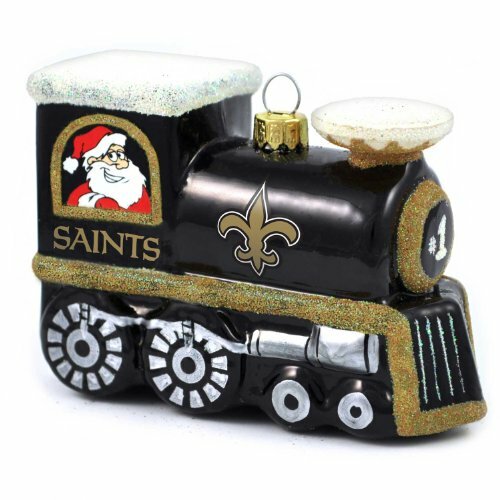 What a super gift for a Saints fan or it would make a nice addition to your own tree. 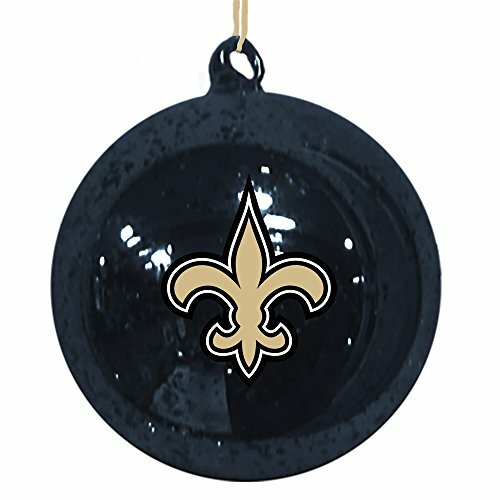 Here are cool looking New Orleans Saints Christmas Tree Ornaments, all done in black, gold, and white, and all bearing the Saints fleur-de-lis. 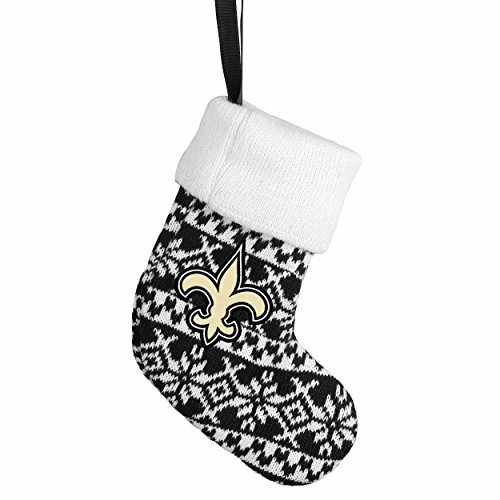 Note the Saints Ugly Christmas Sweater ornament. Ugly Christmas sweaters are very popular these days with people wearing them to work and having ugly Christmas sweater parties and such. If you’re going to one of the parties, take that ornament along as a hostess gift. 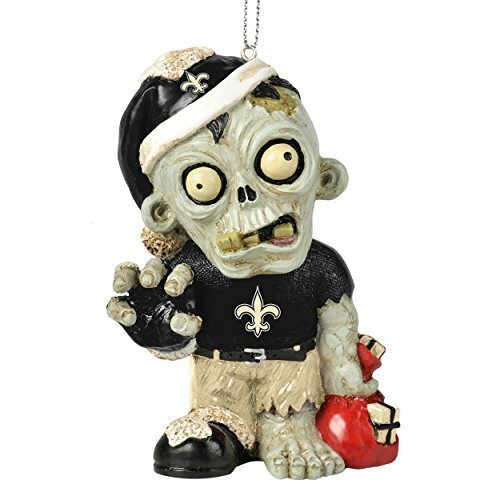 I’ve never seen these particular ornaments at Amazon and it’s nice to have a little variety, so I’ve included these excellent ornaments from Fans Edge. 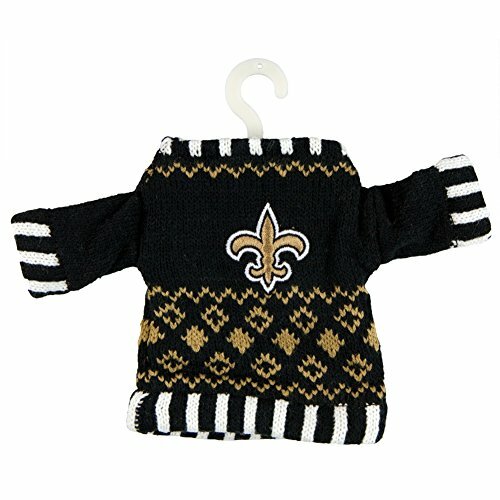 They specialize in all kinds of merchandise related to sports teams. 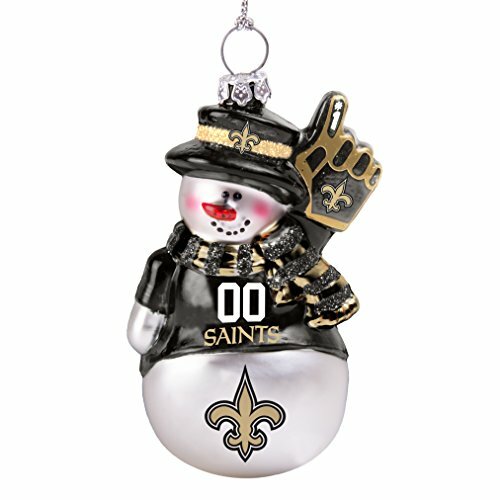 Make the season bright as you decorate with the beautiful ornament of the New Orleans Saints football team. 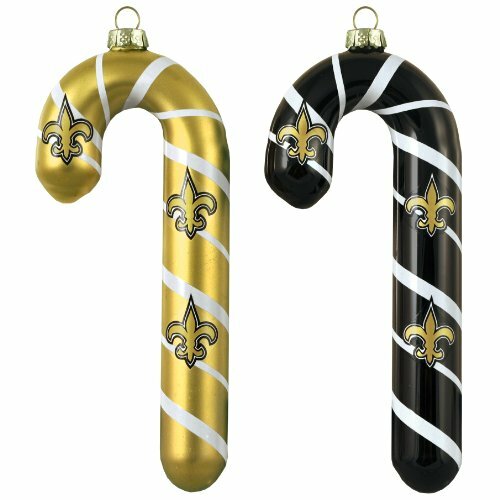 The colors are elegant and the ornaments are attractive. 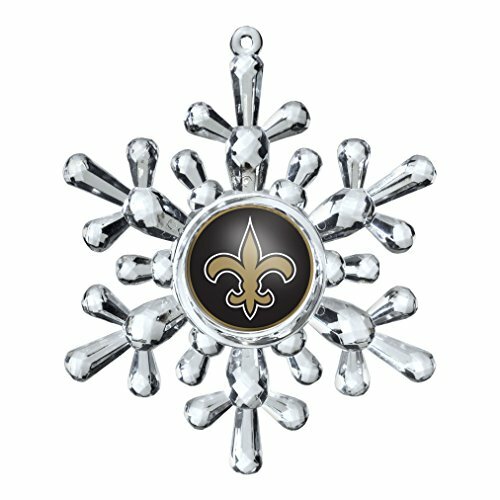 The team colors of the New Orleans Saints are black, gold, and white and their logo is a fleur-de-lis. Their name has a couple of connotations. 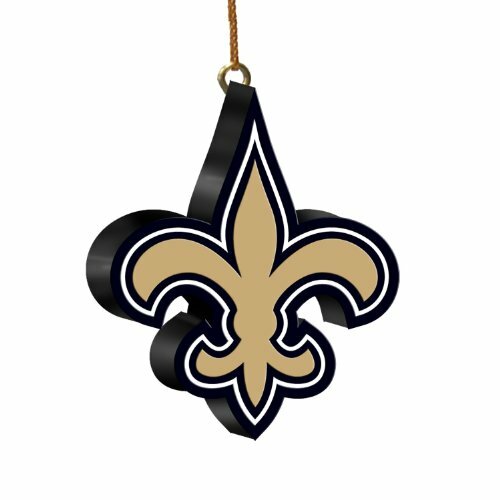 When the Saints Go Marching In is a song often sung by fans at the games. 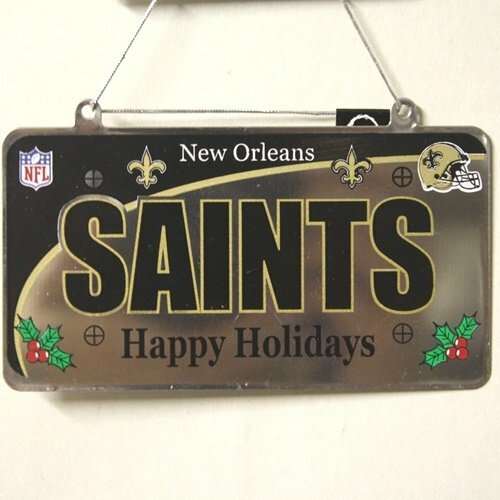 It also refers to All Saints Day and gives a nod to the largely Catholic population of New Orleans. In 2005 the Superdome where the Saints’ games were played, was severely damaged by Hurricane Katrina. 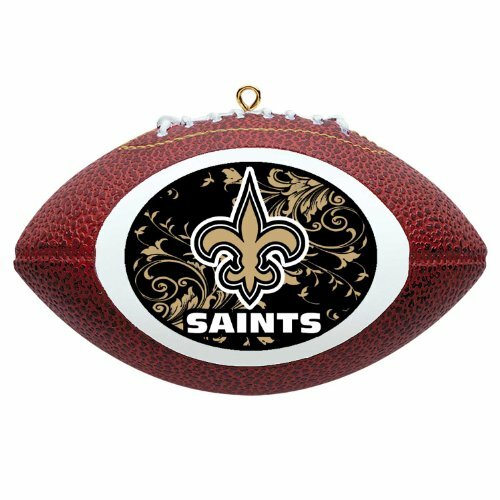 There was a question for a while as to whether or not the venue would be repaired or if the Saints would be moved to San Antonio. It was, of course, eventually repaired.